Mobile computing is driving business processes in ways we never imagined. In fact, mobility harnesses the potential to dramatically enhance business agility and employee productivity. However, businesses must pay particular attention to the security vulnerabilities it creates. 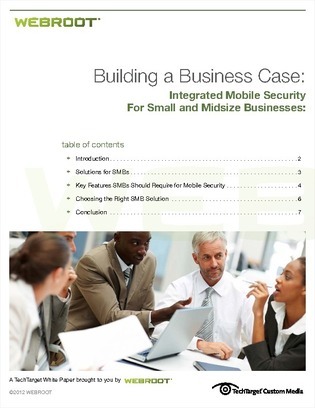 This resource demonstrates how small and medium-sized business can combat the rapidly growing threats inherent in mobile computing. Read now to learn how cloud-based mobile protection can offer robust mobile protection while delivering noticeable cost efficiencies.